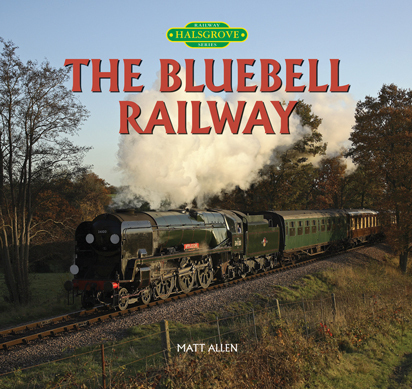 "Railway Series - The Bluebell Railway"
This second book in the "Railway Series" by Matt Allen takes the reader on a photographic journey along the Bluebell Railway in rural Sussex.. Featuring 144 stunning colour pictures, complete with captions and a full introduction. This book captures the seasons, people, stations and locomotives that all contribute to the "Mood" of the railway. All the pictures have been taken in the last 4 years and record many of the special events that have taken place in that time.